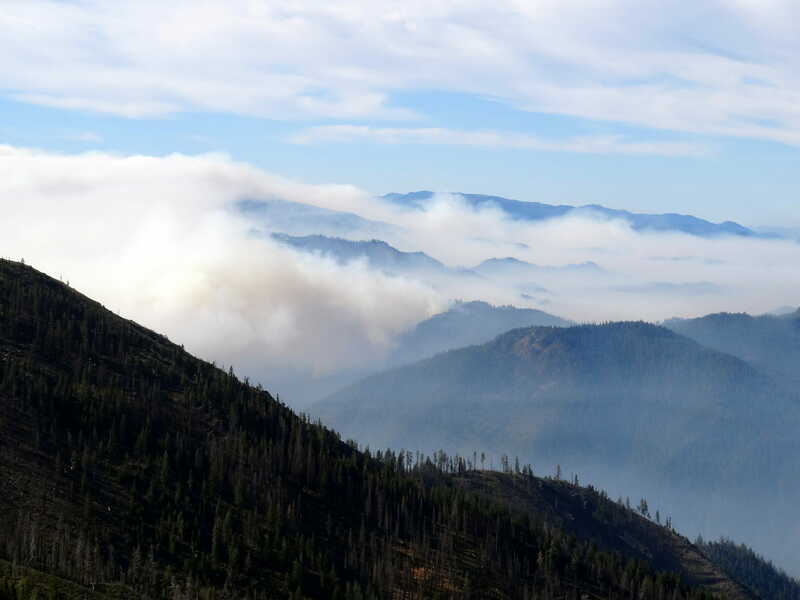 ALBANY, Calif. October 10, 2018 – Smoke generated by wildfires can cool river and stream water temperatures by reducing solar radiation and cooling air temperatures, according to a new study in California’s Klamath River Basin. “Wildfire Smoke Cools Summer River and Stream Water Temperatures,” published recently online in the journal Water Resources Research, suggests that smoke-induced cooling has the potential to benefit aquatic species that require cool water to survive because high summer water temperatures are a major factor contributing to population declines, and wildfires are more likely to occur during the warmest and driest time of year. Co-author Frank Lake, a research ecologist with the U.S. Forest Service’s Pacific Southwest Research Station, says historical wildfire patterns are quite different than those of present day, yet likely share similarities in regards to this new concept. “Prior to modern fire suppression, wildfires burned extensively throughout much of the Western United States, and smoke from these fires may have naturally cooled water temperatures during the summer when temperatures are hottest,” Lake said. Read the full article: https://doi.org/10.1029/2018WR022964.